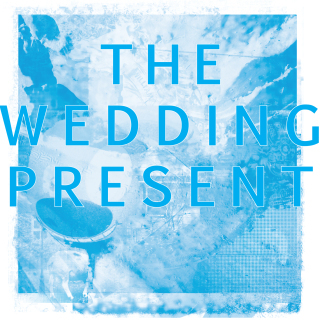 Bio: Last year's Record Store Day took The Wedding Present to France. 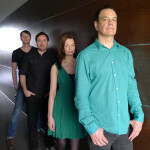 This year, in what seems to have become another tradition for a man who loves traditions, David Gedge takes us to Germany... via Switzerland. Obviously loving last year's challenge to sing in French, David has taken advantage of a Swiss-German speaking bass player to have his Record Store Day 2014 7" translated into German! The music was recorded in France, the lyrics translated in Brighton and the vocals recorded in L.A. 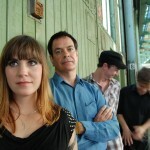 Ever the international band, bass player Pepe le Moko had the chance to sing backing vocals in her native language. Originally intended for a Germany only release via Rolling Stone Magazine, the songs turned out "too peculiar" not to release worldwide. The songs [recorded in the same session as the recent album, Valentina] would sound magnificent in any language. 'Back A Bit... Stop!' has become one of the band’s standout tracks. 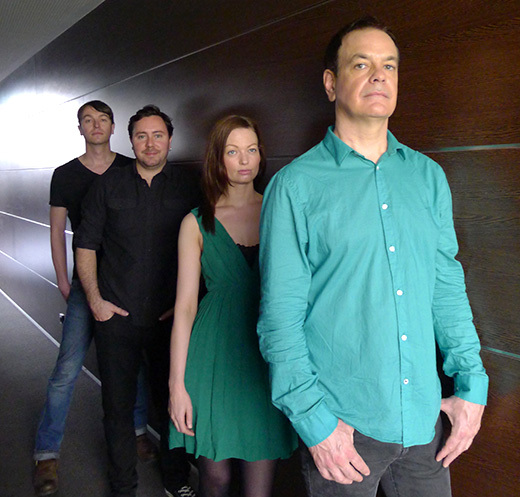 In German, it ties Gedge’s tongue in knots but still thunders along seemingly against his will... ‘The Girl From The DDR’ - originally a duet in German and English - comes home to Berlin with the double German vocals. It could be 1988 all over again... if not for the use of the mighty 'Swollen Pickle' pedal used on Graeme Ramsay's guitar. This will become a classic! The second song on this delightful EP is the oddball ‘524 Fidelio’ with its eccentric timing, hypnotising backing vocals and huge pop chorus.